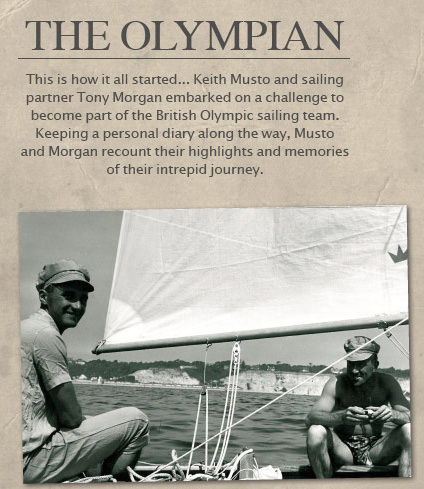 Keith Musto came from Benfleet and learnt to sail in Benfleet Creek, at the Benfleet Yacht Club. “Lady C made a good start in a brisk offshore breeze and arrived at the first weathermark in third place behind the Australian and American boats. 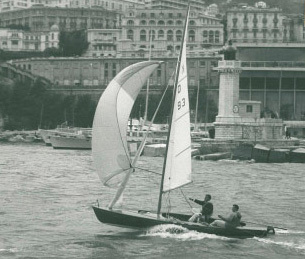 There was enough wind at first for Morgan to go overboard to pick up weight but during the beat the wind died……..
Yachting correspondent Enoshima 13th Oct newspaper report. 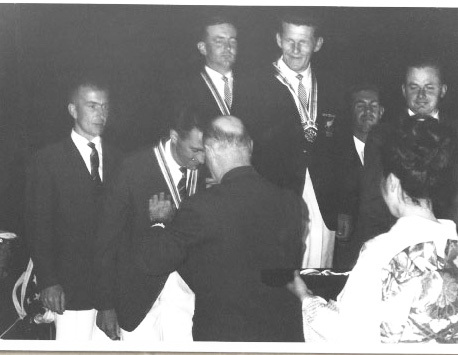 Not only were Musto and Morgan Olympic Medal winners in 1964 they were also European Champions. 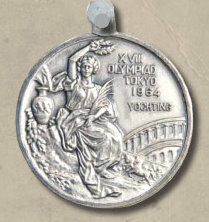 Shortly after the Toyko Olympics Keith Musto started his sailing and outdoor clothing manufacturing company, which had its first premises on the Manor Trading Estate. This information is from the Musto Clothing website , with Keith Musto’s permission. 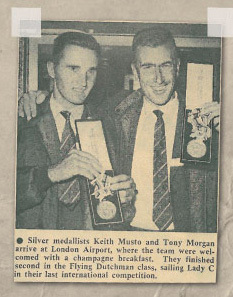 Newspaper clipping Keith Musto and Tony Morgan at London airport with their medals.